NCSY Kollel sing at the Kotel two hours before sundown on Tisha B'Av. 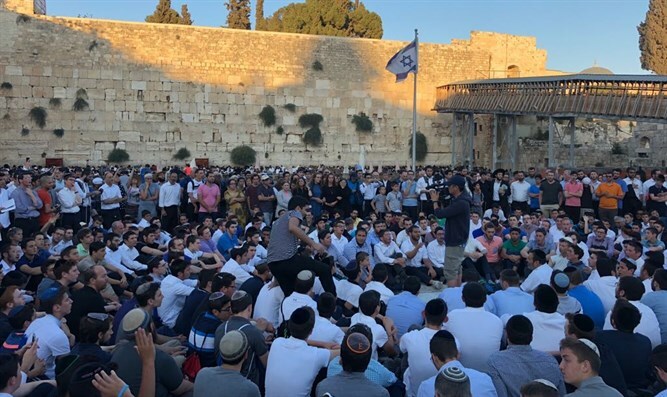 NCSY Kollel, one of the OU youth programs in Israel this summer, have been coming to the Western Wall (Kotel) in Jerusalem two hours before sundown on Tisha B'Av for over 25 years. They declare that they "will continue coming every year until Beit Hamikdash will be built speedily in our days."